For more than 100 years, the University of Nebraska Omaha has helped professionals advance their careers through a wide array of award-winning graduate programs. We focus our attention, expertise and resources on our most important responsibility—our students. Our Graduate Studies office and the faculty in all of our programs are here to assist you as you explore graduate school, and we are here to support you when you choose UNO. A degree from UNO will give you an edge in a competitive marketplace, command higher earnings throughout your career, and prepare you to be a leader in your community. 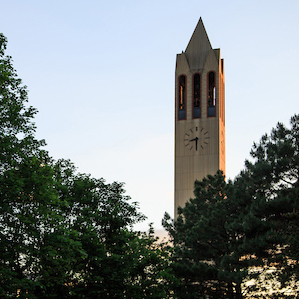 UNO offers the most affordable graduate school tuition rates in the Omaha area and provides a multitude of funding sources for graduate students to help finance their education. Whether you are a full- or part-time student, or taking a course for professional development, you have access to a traditional university experience on a metropolitan campus with nationally recognized faculty and accredited curriculum. 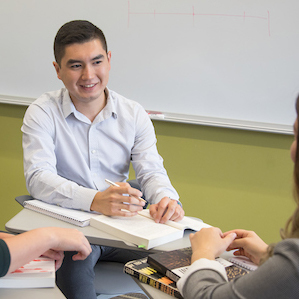 UNO's graduate faculty members are dedicated to individual student instruction and mentoring to help guide students through their courses of study. The UNO Annual Campus Security and Fire Safety Report is available through Public Safety. The report is required by federal law and contains policy statements and crime statistics for UNO. The report includes policies, procedures, and programs concerning safety and security. You may request a paper copy from UNO Public Safety in 100 Eppley Administration Building, or by calling 402.554.2648. For additional resources, visit Student Safety.